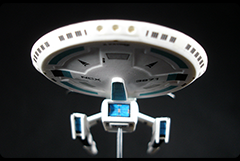 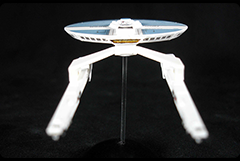 Notes: The Constitution-class MkIII starship is a design created by Brian Pimenta in the 1980's. 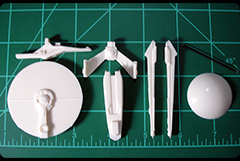 While graphically different from anything used on-screen before or since, his design captures the desire to embrace new technologies and design elements. 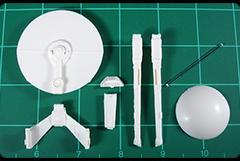 This kit was 3D designed and printed using the best aspects of Brian Pimenta's technical drawings and his build-up, which can be seen in an article on the CultTVman website, Brian Pimenta's NCX-2701 Concept Starship. 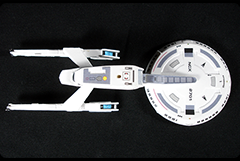 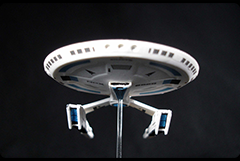 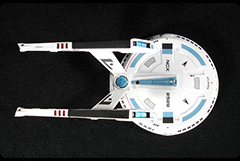 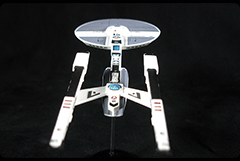 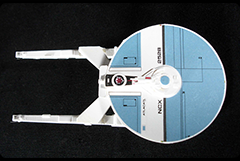 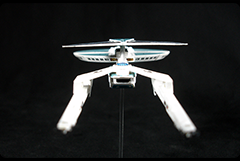 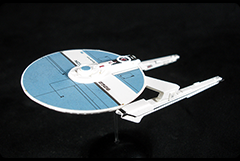 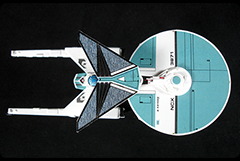 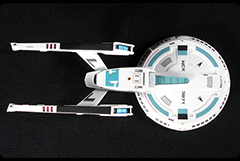 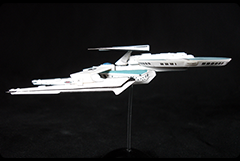 Included with the kit are 2 color choices for hull decals, three names and registration numbers, and traditional NCC-1701 registration for those who prefer to use it. 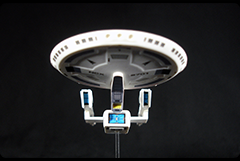 Also includes a display stand. 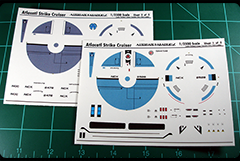 Image of decal sheets will be posted in a few days. 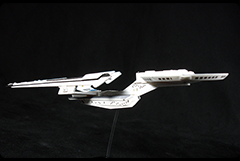 Notes: A variant based upon Brian Pimenta's concept design of the Constitution-class MkIII. 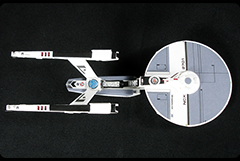 Included with the kit are 2 color choices for hull decals, 3 names and registration numbers, and traditional NCC registration for those who prefer to use it. 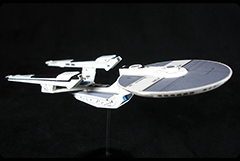 Also includes a display stand. 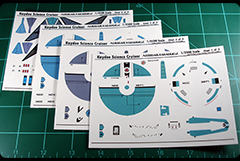 Image of decal sheets will be posted in a few days. 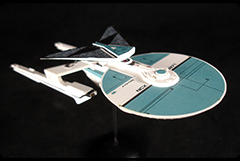 Notes: A variant based upon Brian Pimenta's concept design of the Constitution-class MkIII. 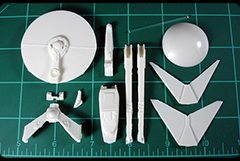 Included with the kit are 3 color choices for hull decals, 2 choices for sensor pod, 3 names and registration numbers, and traditional NCC registration for those who prefer to use it. 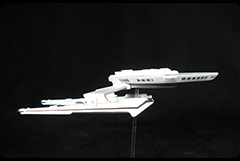 Also includes a display stand. 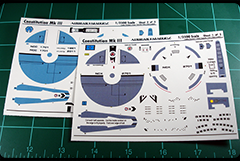 Image of decal sheets will be posted in a few days.